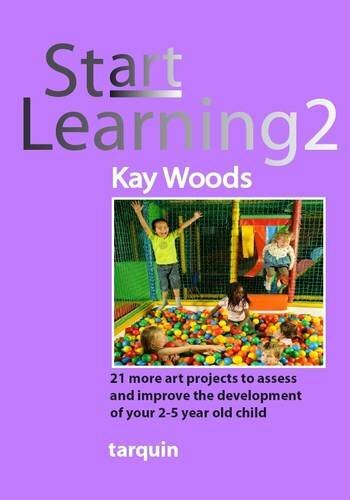 These books (Start Learning 1 & 2)contain a collection of fun and easy-to-do art projects, each designed to allow parents to follow, assess and stimulate their child s development in a key learning area. An art project is chosen and the background information read, so that you can see what is expected of your child at his/her age. As the art project is completed together and the child practices his/her skills, you will gain an insight into the child s learning progress. It can be a struggle for parents to find out what is actually meant by normal development. Comparing your child against his or her peers can be misleading, while the opinions of friends and carers can appear contradictory and vague. This guide is for parents to answer questions with facts. You will learn what to expect and when from your two to five year old, help you to understand the learning process, and be provided with a straightforward method to assess that development yourself. This unique approach makes it possible to see for yourself if she is achieving at a level that is normal for her age based on the Early Years Foundation Stage that professionals use for the same purpose. The activities in these books are widely used by professionals. Start Learning 1 covers Personal and Social Development Physical Development Mathematics Start Learning 2 covers Language and Literacy, Creative Development and Science. The most likely result of reading these books and working through the art projects is that the information will reassure parents that their child is developing exactly as he/she should be. But if he/she really is falling behind in certain areas, then as a parent it is good to be aware. Having the facts gives the parent the power to decide what, if anything, they might want to do about it. View More In Family Activities. If you have any questions about this product by Tarquin, contact us by completing and submitting the form below. If you are looking for a specif part number, please include it with your message.